Race to Erase MS announced today that its historic 25th Anniversary Gala will take place on Friday, April 20 at The Beverly Hilton in Los Angeles, and will be hosted by HQ Trivia’s Scott Rogowsky. The landmark evening will also boast a Fall 2018 runway show from Hollywood-favorite fashion brand alice + olivia by Stacey Bendet. The legendary, celebrity-filled gala has raised over $47 million to date for Race to Erase MS and its Center Without Walls program. This year marks the 25th Anniversary Gala, where guests will participate in a silent auction before enjoying a gala dinner featuring live musical performances. The organization also announced one of the luxury live auction items that will be available to guests of the event – a Ferrari Portofino, one of the first of its kind to reach Los Angeles. The inaugural Race to Erase MS event was held in 1993 in Aspen, Colorado, just one year after chairman Nancy Davis was diagnosed with the illness. 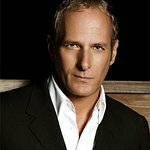 It was a two-day ski race event, which raised approximately $1.3 million for MS research efforts and featured performances by Michael Bolton and Kenny G. In 1996, the event moved to Los Angeles for the first time, where it has remained ever since (with the exception of a special year in Vegas). No matter the venue, the event continues to grow year after year, with the performance roster exploding to include some of the biggest names in music history including Elton John, Stevie Wonder, Steven Tyler, Gloria Estefan, Cyndi Lauper, No Doubt, Natalie Cole, CeeLo Green, KISS, Rita Ora, Ne-Yo, Kenny Loggins, Smokey Robinson, Donna Summer, Stevie Nicks, Goo Goo Dolls, Fitz and the Tantrums, Michelle Branch, Avril Lavigne, Chicago, The Eagles, and many, many more. Over time, the Race to Erase MS galas have honored those in the community who are battling the disease themselves, and those who have taken extraordinary measures to raise awareness for the cause. Award recipients have included Sharon Osbourne and Jack Osbourne, Jamie-Lynn Sigler, Tommy Hilfiger, Dean Singleton, Montel Williams, Teri Garr, Deb & Bill MacMillan, Katie Mattingly Brass, William O. “Bill” Perkins, and Carolyn Rafalian, Founder, CEO, and Chief Creative Director of ALEX AND ANI. Supporters of the Race to Erase MS events have included some of the most recognizable faces from stage and screen – Cher, Mick Jagger, Sylvester Stallone, Muhammad Ali, Jerry Seinfeld, Dustin Hoffman, Sean Penn, Leonardo DiCaprio, Cindy Crawford, Angelina Jolie, Pierce Brosnan, Christopher Reeve, John Travolta & Kelly Preston, Melanie Griffith, Angelica Huston, LL Cool J, Lindsay Lohan, Nicole Richie, Sarah Michelle Gellar, Jared Leto, Ray Romano, Bill Maher, Anne Heche, Paris Hilton, Mayim Bialik, Sophia Bush, Kaley Cuoco, Neil Patrick Harris, Mel B, Victoria Justice, Kellie Pickler, Daisy Fuentes, Ashley Tisdale, Randy Jackson and so many others have all shown up to help raise awareness and fight for a cure! Davis also created the annual “Orange You Happy to Erase MS” campaign, which takes place for the entire month of May (MS Awareness Month) and adds yet another branch of fundraising for MS research. Throughout the month, a variety of orange products, many of which are specially created for this initiative, are sold to benefit the cause and elevate public awareness about MS. Orange T-shirts with symbolic messaging are created annually and in recent years, modeled by longtime supporters Sharon and Kelly Osbourne. For the 2018 campaign, they will be joined by Jack Osbourne, an MS survivor himself, and his two young daughters! Among the partners is ALEX AND ANI, a company that has been a loyal partner to Race to Erase MS since 2012. They created a unique Cupcake Charm Bangle and donated twenty percent of its proceeds to Race to Erase MS. This effort alone has raised over $1 million for multiple sclerosis research. For Spring 18, Right Bank Shoe Co. and famed designer, Mr. Right Bank, created The Peace and Love Collection, which is inspired by Nancy Davis’s lifelong love of hearts, peace signs, and equality. The core philosophy of the brand is that everybody in the world ultimately wants peace and love in their lives. Not only does this capsule collection capture Nancy’s inspiration, but 10% of the proceeds will be donated to Race to Erase MS.
Race to Erase MS will also continue its partnership with Evine, an interactive digital retailer, and once again give guests the opportunity to bid on a first-class trip to their national headquarters where they’ll experience the magic behind the television camera and see how products are brought to life on air. Following the Gala, Race to Erase MS founder Nancy Davis will be featured live on Evine where she’ll sell a variety of jewelry products as part of her Peace & Love collection. The Race to Erase MS Gala has always provided its guests with the opportunity to bid on some of the most luxurious, one-of-a-kind vacations, jewelry, and vehicles during its annual live auction, and this year will be no exception. Attendees will have access to one of the first Ferrari Portofinos in Los Angeles. The Ferrari Portofino is the new Ferrari V8 GT setting a new benchmark for its segment thanks to a perfect combination of outright performance, versatility, an unparalleled level of driving pleasure and on-board comfort. Capable of unleashing a massive 600 cv and sprinting from 0 to 200 km/h in just 10.8 seconds, the Ferrari Portofino is the most powerful convertible to combine the advantages of a new retractable hard top, a roomy boot and generous cockpit space. The new Ferrari Portofino takes its name from one of the most charming towns on the Italian Ligurian Riviera, Portofino, which has become an international icon of elegance and exclusivity. This is the most versatile Ferrari: a car designed to be driven every day that effortlessly converts from an authentic ‘berlinetta’ coupe to a drop-top in just 14 seconds, even when on the move at low speeds thanks to the new and lighter retractable hard top system. Ideal for any occasion, the Ferrari Portofino represents the perfect combination of Ferrari design, performance and technology. Additional partners and special auction items will be revealed in the coming months.